"I started Ginger Side of Life with the desire to "get a hobby," and get a hobby, I certainly did! I have learned how much I love remixing outfits within my closet, borrowing my roommates things (always with their approval of course!) and learning how to take photos on manual! I love creating outfits that incorporate vintage pieces as well as high and low end finds. But more than anything, Ginger Side of Life has opened me to a community of wonderfully supportive, talented and beautiful women and I am so grateful for that opportunity. I hope you enjoy the "Ginger Side of Life" as much as I do." Your jacket is such a beautiful shade of blue, makes me think of summer. Thanks for hosting this wonderful link up! 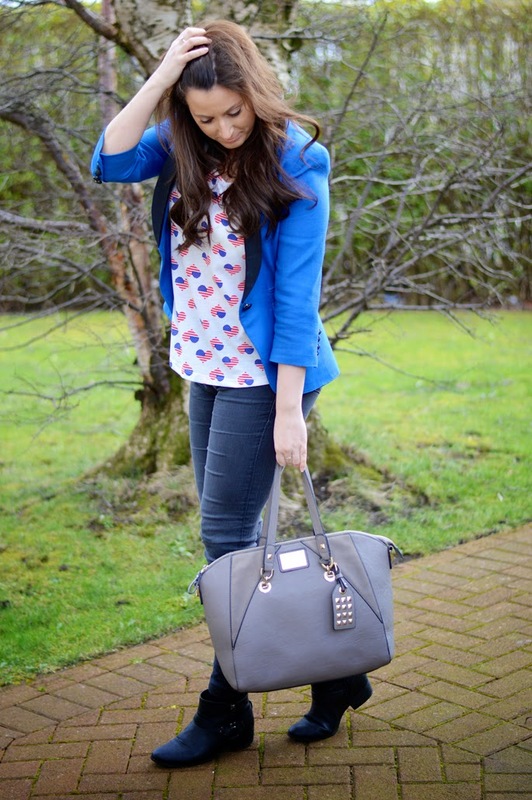 A cobalt blazer is on my list of things to buy. 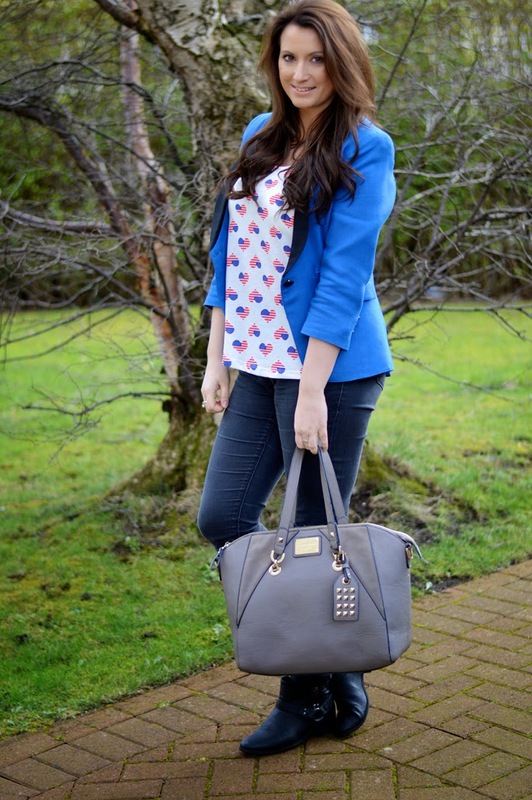 The heart-printed top is just too cute also and what a lovely bag. Thanks for hosting the link-up, Laura! Amazing blazer! Love the cute top underneath. Happy Monday! What a beautiful blue color and that top is so cute! Thank you for hosting the linkup! Thank you for hosting your link up. I am really loving your black dress, it is stunning on you! 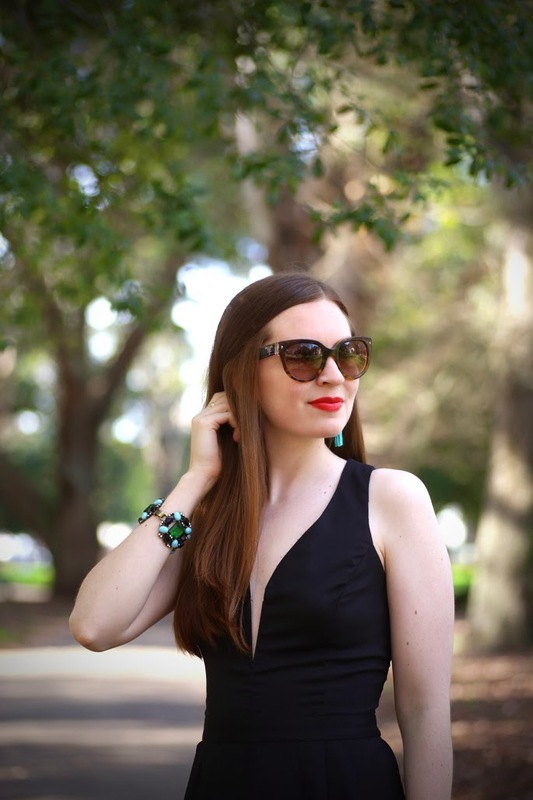 Come on over to Style Nudge for my Monday SHOE AND TELL FASHION LINK UP! I love your heart printed top - it's so fun! This is such a cute outfit! 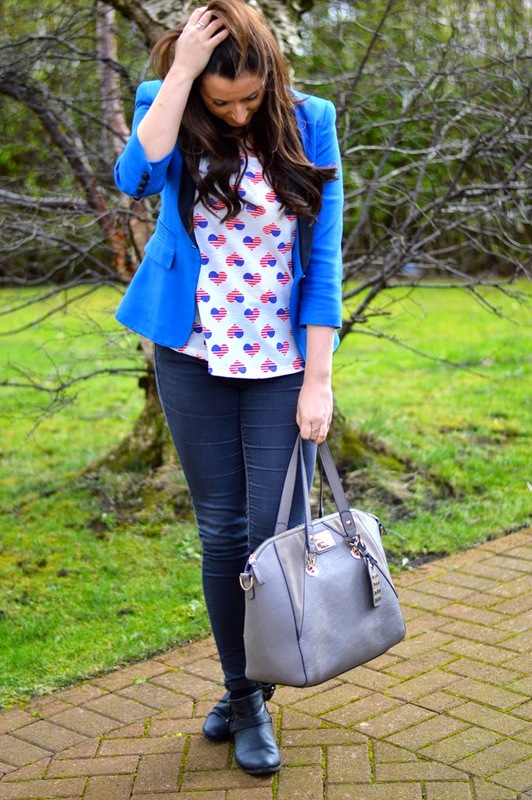 I love the bright blue blazer with the heart sweater. 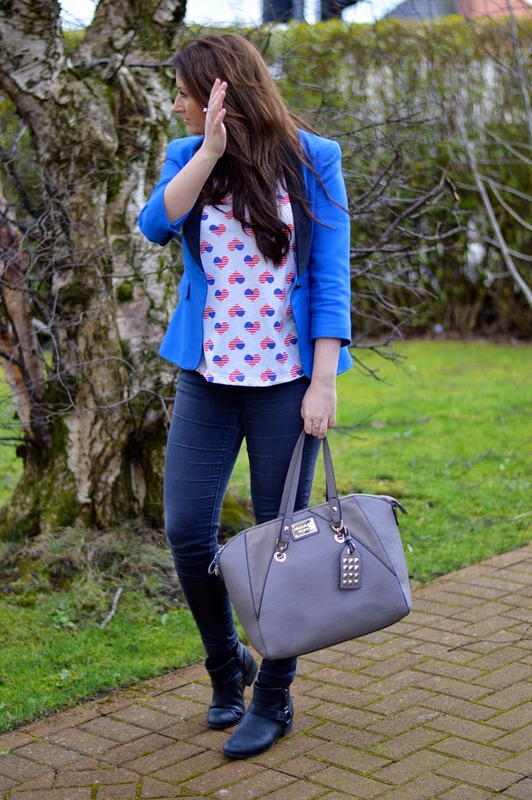 Love your blazer - what a fresh shade of blue!!! That's a cute blazer! Thank you for hosting, Laura! So gorgeous! Beautiful blazer. Love that cute top!